Without going into great detail, August was pretty much the worst month ever and so far, September hasn't been much better. It's at the point where I'm wondering if it's Karmic retribution for a past life, perhaps one when I was an innocent kitten killer or oppressive dictator because that's about how crappy it's been. But all of that crap made last Friday even better, so I guess I wasn't as bad in a past life as I'd feared. Thank goodness. Ha! First, I had my first reflexology appointment in a little place only about ten minutes from my house. It wasn't as great as the reflexology I had in New Brunswick (Go see Win! Shoot me an email if you want her contact info!) but it was okay enough. The real goodness of the appointment, however, came from where I parked--on the street, in front of a second hand store. I hadn't been in before, and since I had time, I popped in. And it was in that store where I had my first real win of the day. Namely, finding matching sombreros. Not only are these freaking hilarious, but they are also authentic, as demonstrated by their extreme weight. The Remix was thrilled to learn that we were now the proud owners of appropriate headwear for when we break out our margarita machine (not really). Haha! 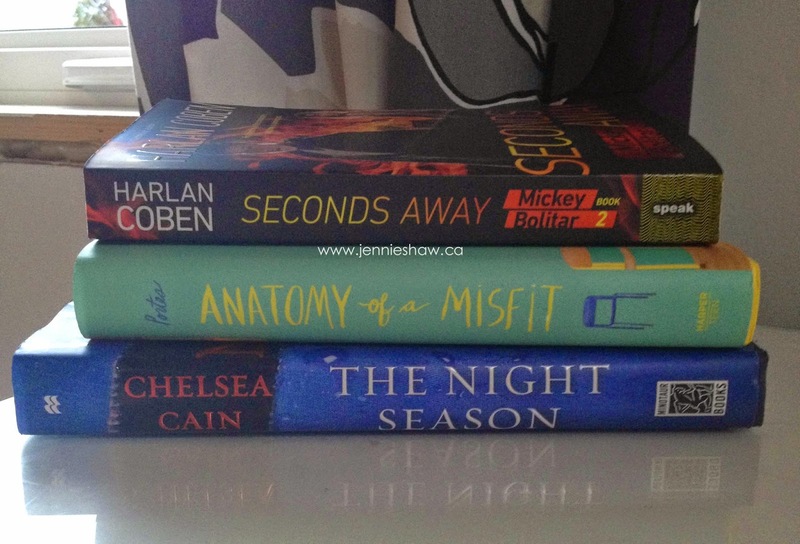 So far, I've read ANATOMY OF A MISFIT and it was off-the-charts fabulous. Expect a formal review soon. Here's the coolest part of this story, though. 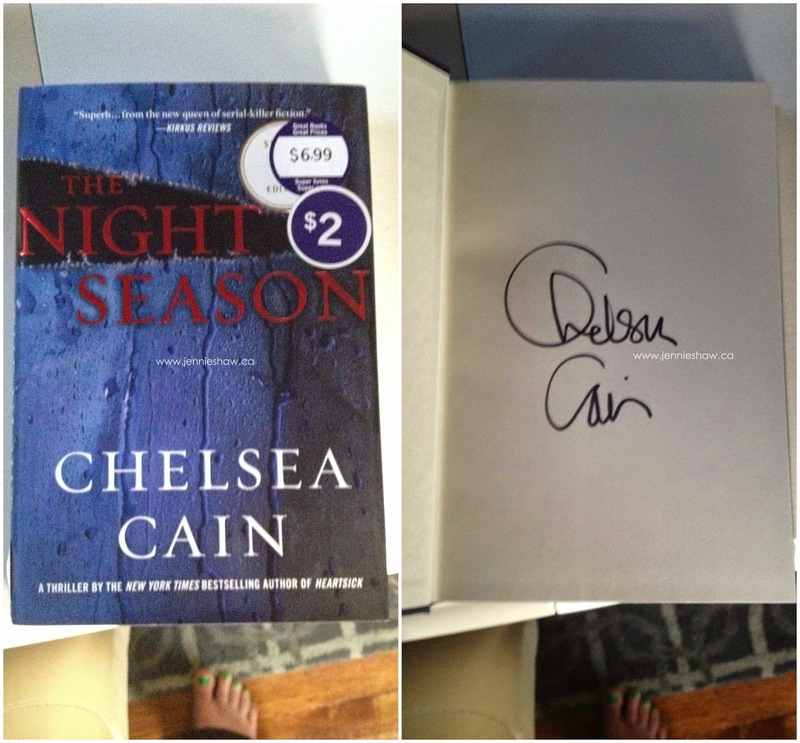 Turns out that THE NIGHT SEASON, which was a Bargain Book, priced at $2, was signed! 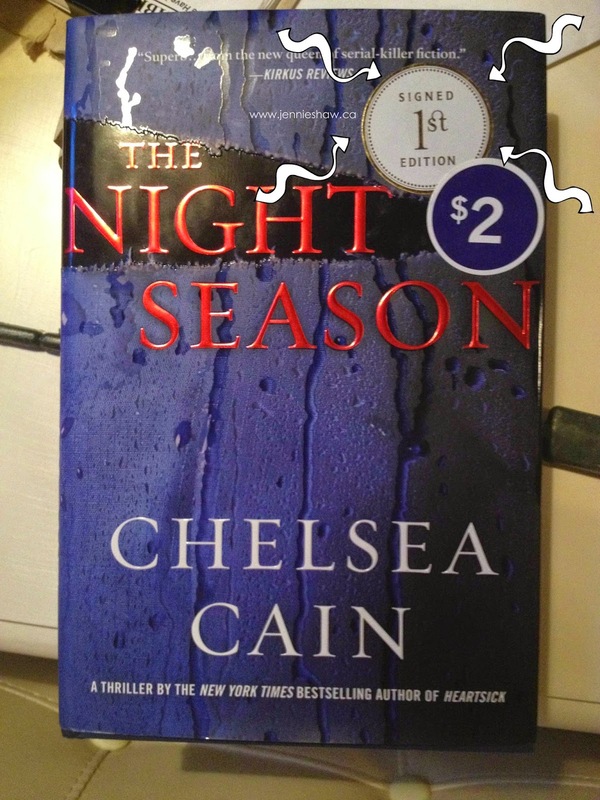 But not only that, when I took off the original discount sticker, I was floored to see that it was also a 1st Edition! MY FIRST SIGNED FIRST EDITION! EEEEEEE! Clearly, this edition was mislabeled as a Bargain Book, but that error resulted in my triumph, so it all worked out. Haha! But the day wasn't over yet, folks! The Remix and I still had some errands to run and they just happened to take us by a Great Canadian Bagel. It may sound strange, but one of the things I miss a lot about New Brunswick are the bagels from GCB because Ontario has very few locations, so whenever we pass one now, the unwritten rule is to pull over immediately and get the deal with eight bagels and a speciality cream cheese. Specifically, four cheddar jalapeño bagels, four cheddar swiss bagels, and a dill cream cheese. Mmmmm....dill cream cheese. Haha! Well, turns out we'd rolled into this particular GCB about ten minutes before closing. My heart nearly broke when I saw the empty display case. The wonderful bagel proprietor saw my disappointment and asked me what I was looking for. I told her and she replied that although she had some cheddar swiss, she was out of cheddar jalapeño. "OH THE HUMANITY," I cried, mostly internally. She laughed at my extreme disappointment and ran down the options she had left. One of those options were cheddar herb bagels and since The Remix doesn't mind the cheddar herb, I told her they would sub in just fine. Then, I made my way to the fridge for the cream cheese when another tragedy struck: there was no dill cream cheese. Now, it's probably at this point that you're wondering why this bagel bummer is in my "the time I won last friday" post, but stay with me through the trauma and you'll see soon enough. Haha! The kind proprietor said that the cucumber cream cheese has dill in it, so although it wasn't the same, it was almost the same, which meant that it would have to do. When I got to the cash, she handed me a bag that was slightly heavier than I had anticipated. "Just take them all," she said. "Wow, thanks," I replied, happy to get some bonus bagels. 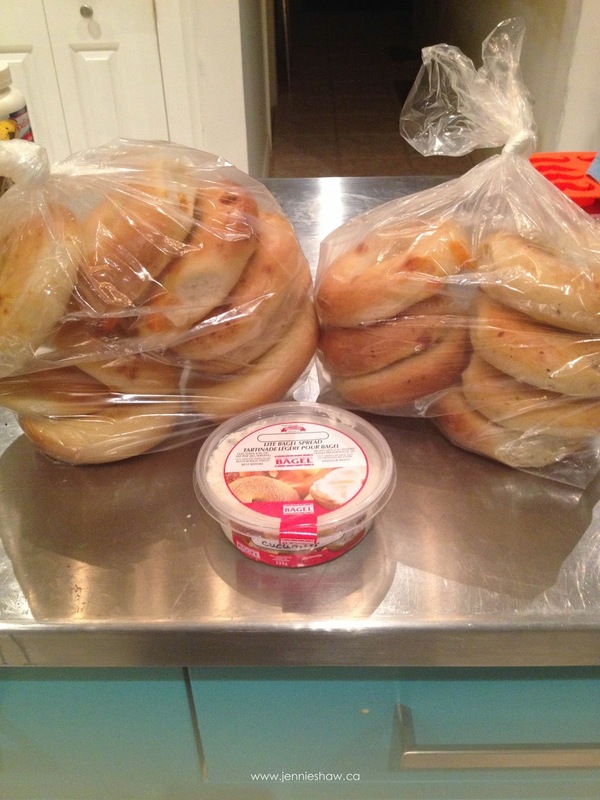 It wasn't until I got to the car that I saw just how many bonus bagels I was lucky enough to receive. Final bagel count: sixteen. SIXTEEN. Now I'm no mathematician, but I'm pretty sure that's double the amount of bagels we were supposed to get. SCORE!! Haha!! Oh this gif. It's just the greatest. Have you had a particularly awesome day lately? What made it so great! Let's spread around some awesome-ness! YAY FOR AWESOME-NESS! I LOVE DAYS LIKE THATTTTTT!!! The universe was totally smiling down on you :-) I love this so so much! ooooo ahhahahh bagels, I think I will eat two a day when we go to California to make up for the serious lack of bagels here. 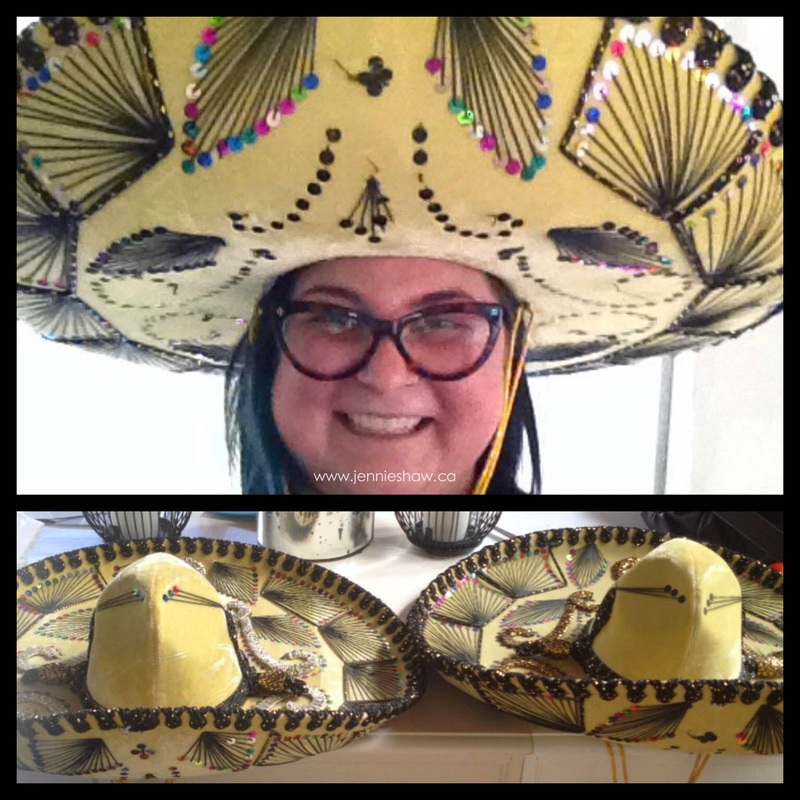 Sombreros, free bagels AND awesome books? Yep, you're all set for the month. Long may the awesome continue!